Smartphones allow the visually impaired a new sense of freedom and independence, thanks to several innovative applications. 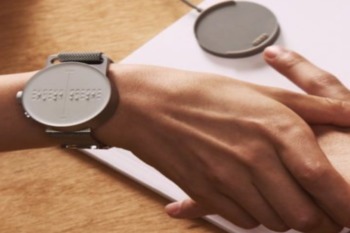 Now, blind people can utilize smartwatches to improve life quality. The Dot Watch has a touch display in which 24 dots rise and fall, spelling out words in braille; users can also link the watch to a smartphone via Bluetooth. The stylish watch can relay information from social media, texting and GPS apps. The Dot Watch is available to purchase for $359. At SDCB, we specialize in assistive technology. Please contact us for more information.